We pick up you from the dock or any other place you wish. Today you have to be ready for an extensive tour of the Eternal City. 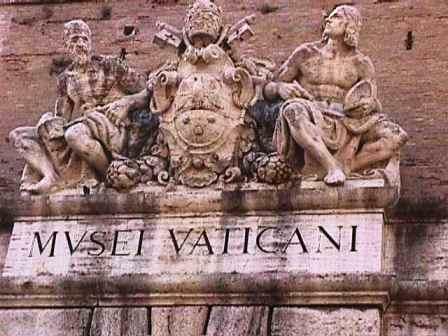 Your excursion starts from the Vatican City. Vatican Museums (founded in year 1503), Sistine Chapel (built in the second half of 15th century and famous because the frescoes of Michelangelo), Vatican Square of St. Peter, with its St. Peter’s Basilica, traditionally believed to have been erected over the spot where St. Peter was buried after his martyrdom in Rome around 64 AD. Customers with a guide for the Vatican Museums have access to St Peter's Basilica directly from the Vatican, so they will not have to come back to the van, and wait about 1 hour to visist it. Better to have a walking guide, just in order to visit St Peter's Basilica without waiting in line. You will also be visiting the Victor Emanuel monument (called the “Wedding Cake”), built from 1885-1911 and located in the very heart of Rome, Piazza Venezia. Beside Piazza Venezia we have the Capitoline Hill, over steps that designed by Michelangelo, to observe the superb panorama of the Roman Forum and the Rostrum that stands upon it, a platform from where Rome's leaders addressed the city's people. Another stop today is Trevi Fountain, then Piazza Spagna and the amazing Piazza Navona, from where it’s easy to reach walking the Pantheon, a classic Roman temple built by Agrippa in 27BC. Then we move to the most famous roman symbol, the Colosseum. 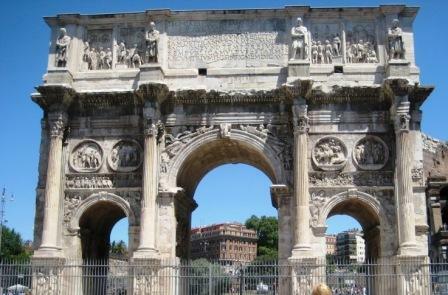 The last monument of your day will be the masterpiece of the triumph arches in Rome, the Arch of Costantine, located in the valley of the Colosseum that represents victory over Maxentius in the battle at the Milvian Bridge in 312 CE. Then we will drive you to the dock or others places you prefer, in time for departure. This tour includes: - Professional English-speaking driver. - Transportation in Mercedes luxury AC van; - snacks and beverages on board; A licensed guide can be hired at an extra cost.